Since The Yellow Monkey used Shibuya La.mama (a live house in Tokyo well known for their support of the “Japa-Metal” movement in the 80s and 90s) as their main venue, their first album was released on La.mama’s own “ENGINE” label. With the release of Bunched Birth, they began a 13 date tour that started in Tokyo. A November concert in Osaka would be their first featured as the headlining act, and things would go nowhere but up from here. While Bunched Birth is their most immature work in terms of writing, lines can clearly be drawn from many of the songs on this album to their most sophisticated songs later on. By Yoshii’s own admittance it’s also very weirdly and overly mixed, making it not the most listenable album. 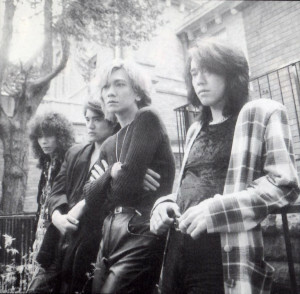 Yoshii’s own feelings on it have fluctuated over the years: He wasn’t fond of it during “smile” (when he was trying to take the group more in a pop oriented direction), but has since come back around to it and claims that it’s one of the band’s most memorable albums despite its flaws. It has a strange energy to it. It may not sound very good as a whole, but I’ve often thought that some of the songs sound amazing. I’ve also thought that we overdid them. Either way, we haven’t had that clear of a sound since our debut. I wanted to create an amazingly clear and kaleidoscope-like sound, like the band 10cc, but it came out stagnant no matter what I did. Since it didn’t turn out well, I feel like I’ll never make an album like that again. The band’s core sound was also established here, pulling very heavily from their main musical influences. 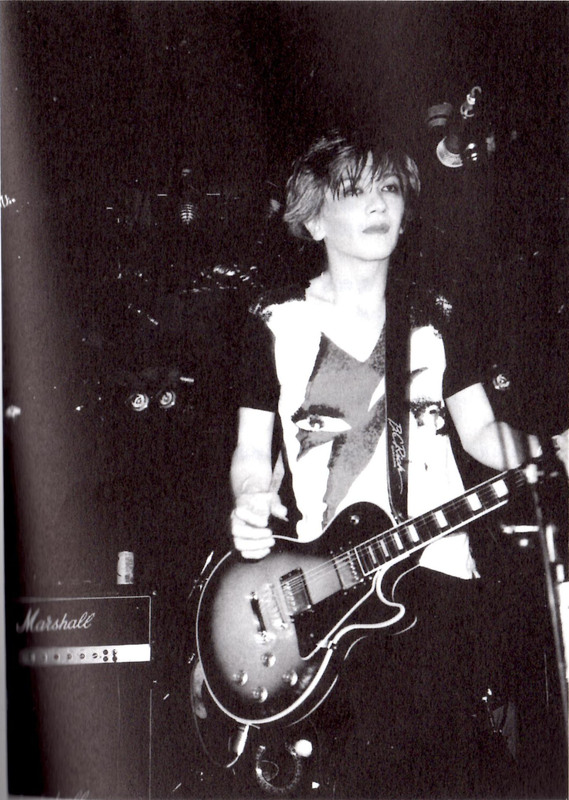 It would change and evolve over time, but Yoshii’s description of his initial desires for the band’s sound describe Bunched Birth perfectly. At first I wanted to play what you might call candy pop. I had a strong image of it being like The Who covering a Beatles song. There was a band a long time ago called The Raspberries, and I always said that it would be great to have a sound like theirs. I liked the pop aspects of more B-grade glam rock, the kind that you’d hear on a compilation album: Like Slade or Sweet. And then add in some rough edges, like the New York Dolls. And then some more intellectual aspects, like Lou Reed. And of course some David Bowie too. Those are the feelings that I had at the start. Yoshii has also described his own writing style as being born from the same influences, but with his own twist. It too would evolve quite a bit over time. I definitely memorized a lot of KISS songs! With lyrics like “Put your hand in my pocket, grab onto my rocket” I’d think “These foreign guys sure do sing about some interesting stuff!” (laughs), but that’s the level I was at. It didn’t register with me that “Oh, THIS is what lyrics are!”. And I felt that the lyrics in Japanese rock music where only vaguely similar, but that it was okay that there can be different kinds of rock songs. I felt like they were mostly about either being young or women and booze. But when I sing, I can’t just keep it at that. Those songs make me think “I can’t just sing a song this straightforwardly!”, and when I look at lyrics from people like David Bowie or Lou Reed I think “They’re singing about such ridiculous things!” (laughs). But I could never quite write like that, so I just started writing things in a way that was unique to me. Yemon recruited help from a few members of the band Tyrannosaurus for this album: Iwamuro Akiko (Piano, Mini Moog Synthesizer and Strings), along with Tsuchiya Mikako and Fujita Shinobu (Female Chorus). 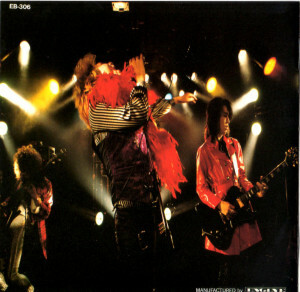 Tyrannosaurus were coming up through Shibuya La.mama at the same time as Yemon, and are often referenced as “Tyrannosaurus Karibow”, after their vocalist Karibow (who was a good friend of Yoshii’s and also gets a special thanks in the lyrics booklet). They stuck around La.mama for quite some time, and some youtube clips date their performances as late as 1995. Information on them is very hard to find since they didn’t achieve any real popularity, but Karibow continued on in the indie rock scene after Tyrannosaurus. 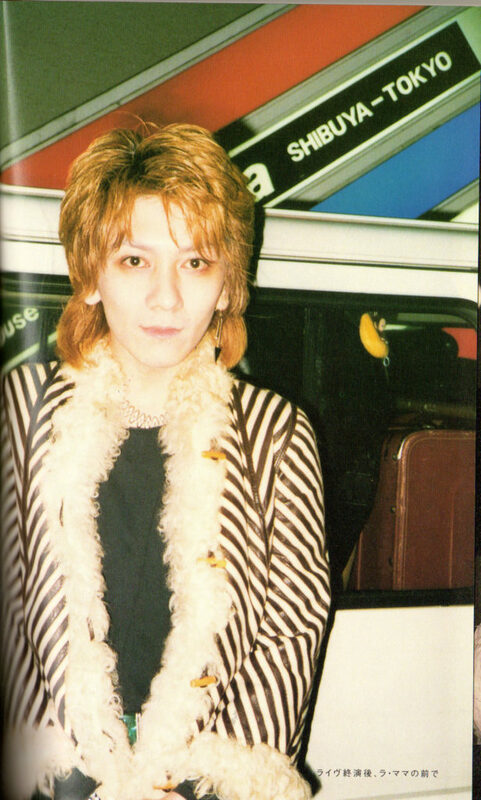 Iwamuro would later become a frequent writer for Tsunku’s Hello! Project stable of idol girls, during the height of their popularity in the late ’90s. She continued writing for Hello! Project until 2013. She rarely wrote anything for Morning Musume themselves, but rather for the many solo acts and offshoot groups within Hello! Project. No traces of Tsuchiya and Fujita could be found post-Tyrannosaurus, though they would reprise their roles as female backup vocalist on Yemon’s next three albums (Iwamuro would not). 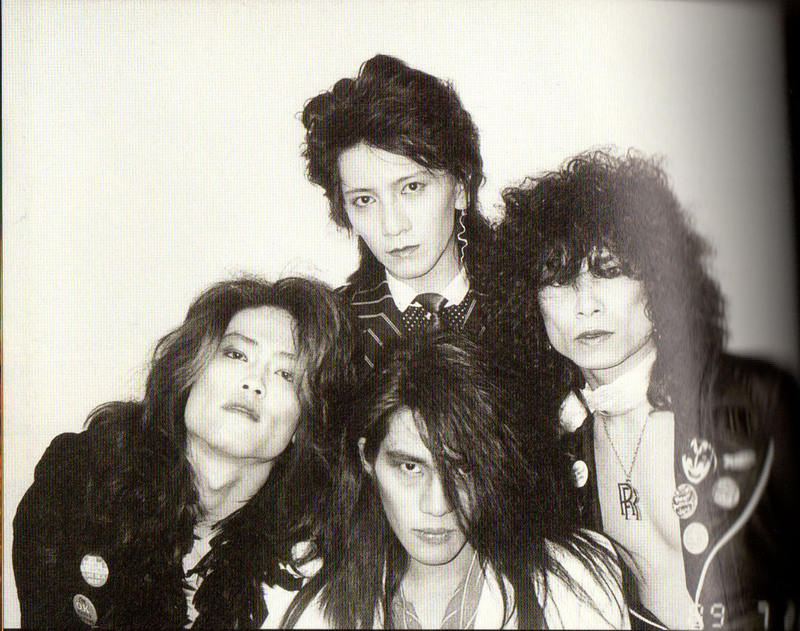 After Jaguar Hard Pain (their third major label album), Yemon would start recording their own backup vocals instead. None of these three seem to have ever performed with Yemon outside of recordings, since the band provided their own backup vocals and often went keyboard-less in their early recorded performances. 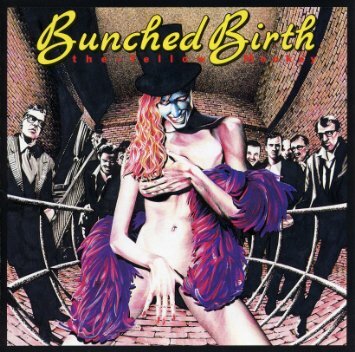 Bunched Birth would be their only indie album, as they would very soon be signed to a major label. Welcome to My Doghouse and Lovers on Backstreet would be the only two songs from Bunched Birth that they would semi-regularly perform again after their debut, and it’s no coincidence that those are the songs that most clearly demonstrate the band’s distinct sound and Yoshii’s style of writing.